Right. 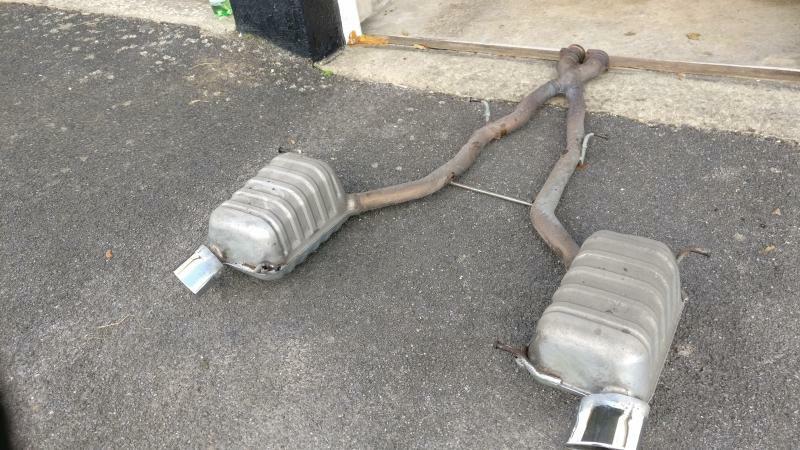 Decided to start some upgrades before the 4BallR event in June, and today been to 2 exhaust specialists. Gave me different options. Bit of advice. Kelteck in Leeds do powerflow and told me to do a cat back. Tony Banks in Leeds, said back boxes only would be needed. Any thoughts. Looking for more rasp, if you will, especially low down revs as only really enjoy the noise at 3500rpm to 5000rpm, but don't want big bore sound. Also, tip choices. Larger oval, round twins or AMG (extra £100 as bumper to be cut). 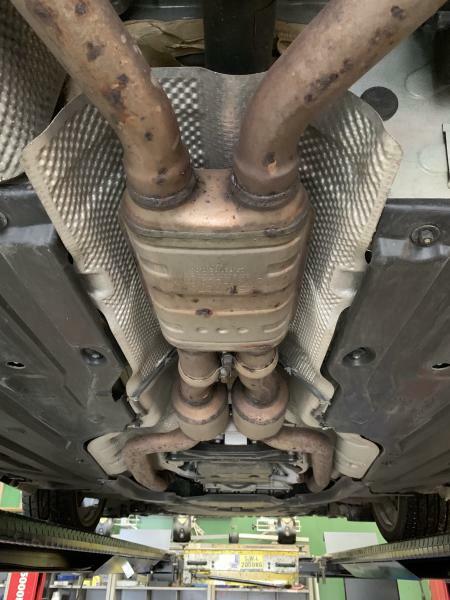 If I sold the car and had kept the old exhaust to sell with it, could the buyer just take off the larger AMG tips and refit them to the standard exhaust if to loud for the buyer (because of the larger cuts). I forgot to ask the garages but you lot are a wealth of information and opinions! I would just go for a resonator delete (I believe the 350 already has a Y pipe). Keep the standard rear boxes and just get them to change the tips. If they make the resonator delete with flanges and weld flanges to the old resonators then they can be easily swapped back in if a new owner doesn’t like the sound. @davest4s Trying to remember what you did to Marissa's. Although I didn't hear it personally, I do recall many positive comments. I did this on my slk. And if you want to have a spare system for the next owner so you can go to town on your existing system, someone near me is selling a 350 standard system - have a look in the for sale section. I'm recording soundbites from the 55 and will play them on the stereo. Same idea some expensive car system use. I’ve had the second cats (resonator boxes) removed and am very happy with the result. A small sound clip is here. ..
davest4s and Avel Du like this. As per Mike above, we deleted the resonator. As Mike says increased the rasp nicely with no downsides. Not a major difference, but worth doing considering it's a relatively cheap option. R hey Davy Ill have to get a wriggle on and sort the exhaust paint job took priority. But think my exhaust is fudged so it sounds better But not as good as it could. All slk r171 350 ( not only the facelift ) have the X pipe as standard. What a great responce, thanks all. Considering the delete cat. Anyone ideas on swapping tail pipes round. 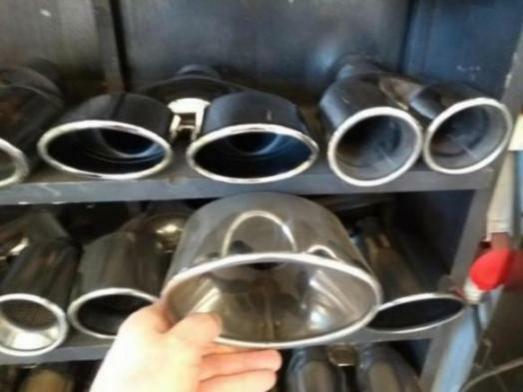 Obviously if you can't that easily, would put me off the AMG pipes. I have basically the same query, just that my car is a R172. 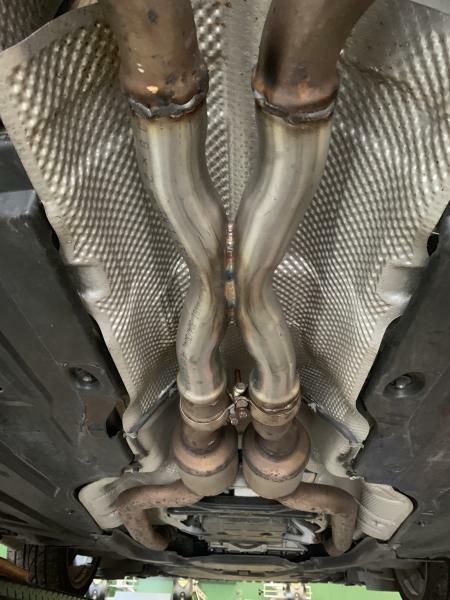 I spoke to an exhaust place, and the options we ended up with were replacement of the resonator with an x-pipe, or replacement of the back boxes. I was recommended the back box route as the sound was more tuneable. They said they would remove the back boxes and run the car without them and work out what was required of the new back boxes. I was planning to retain the original exhaust outlets to keep it stock looking (the outlets are more faired in on the R172). The back box option was more expensive than the resonator delete, but appeared to offer more potential for tuning. Took the plunge at the weekend, and had a x-pipe fitted in place of the central resonator on my SLK 350 (R172). The exhaust has more burble at low revs, and has a nice rasp with a bit of edge to it through the rev range. With the top up and in the cruise it doesn't really appear to be any louder, but you can hear it when accelerating. With the top down you can hear a lot more going on which is great. It is still not really loud but removes the rather 'flat' exhaust sound (it is a V6 after all). 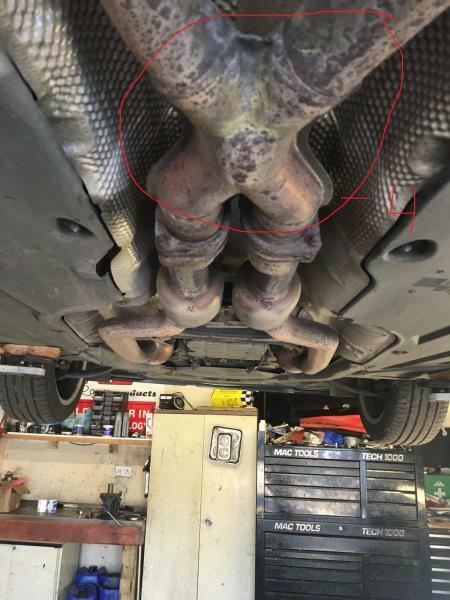 Is that an x pipe or straight pipes?